There are many patients in our community with missing teeth. This is a problem that can affect you both physically and emotionally. People with missing teeth cannot smile with confidence and often struggle to eat. There is a solution to all these problems: dental implants. Dental implants have become a great device to help patients restore their chewing ability and smile. Our dental office offers a number of dental implants. It all depends on your requirements and smile goals. You can schedule a consultation with the Glendale dentist, Dr. Sahakyan by calling 1-818-578-2324. There is only one tooth replacement option that almost matches to the strength of natural teeth. These are dental implants. These incredible advanced dental instruments can give you back the bite you lost many years ago. 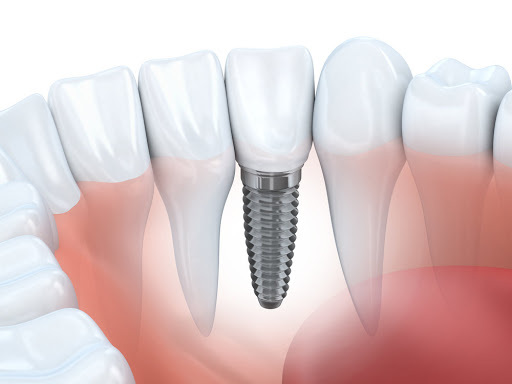 Dental implants are so strong that they are made of titanium, a biocompatible material. After installing the implant in the bone, the implant becomes a part of your body. 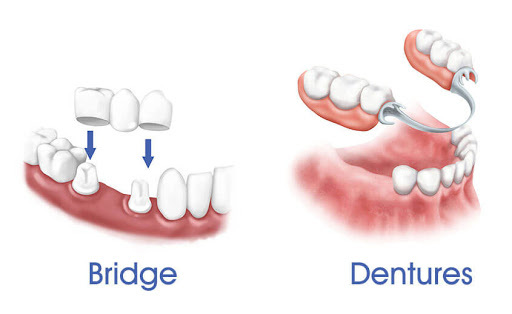 Thanks to this method, we can restore your implants using crowns, bridges or dentures. For comparison, removable dentures provide only 25 to 50 percent of the power of your natural teeth. The huge problem with natural teeth is that they can fail. 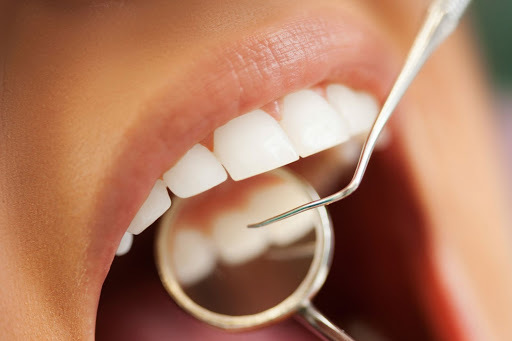 Our teeth may fail due to wear, gum disease, or cavities. This is not a problem with dental implants. Since the implants are made of titanium, they do not have cavities. As soon as the implant takes root, you will brush your teeth and wipe your teeth as usual without feeling any difference. A young person can lose the teeth, not only as a result of poor oral hygiene but also because of a trauma. If this happens, you need to contact Glendale dentist as quickly as possible. It is important that the tooth and its root be removed in a manner that is gentle to the gums and jaw bone. If the state of health and oral cavity allow, then during one visit it is possible to remove a tooth, and immediate implantation or at least preparation for the planned procedure. Missing teeth are a big problem. It is difficult to focus on anything else when we see someone who has one or more missing teeth. Lack of teeth is a full-blown health crisis. Without teeth, you cannot maintain a healthy diet. Dental implants allow you to eat and digest food in the same way as with natural teeth. When the teeth are lost, the jaw bone will recede. When the jaw bone changes shape, so does the shape of your mouth. A jaw recession causes wrinkles around the mouth. These changes make you look much older than you really are. This constant movement also affects the fit of the prosthesis, especially the lower prosthesis. Changes in the jaw can cause a denture to move in the mouth. Dental implants merge with the bone and preserve the bone. When you hear the word surgery, you can think of something extremely complicated. The truth is that the surgery to implant teeth is extremely predictable and successful. Dental implants have been successfully placed in about 98% of cases. This is a terrific success rate for any procedure. There are several requirements for dental implants. But basically, if you have enough jaw bone to support the implant and you are in good health, you are most likely a candidate. Most of our patients are affected by the lack of sensitivity that they experience after the dental implantation procedure. Implantation is a well-proven method for the restoration of one and several teeth and even the entire dentition. If a person has lost his back teeth, it is impossible to make a fixed prosthesis due to the lack of supporting teeth. In this case, dental implants are the best solution. Implants have a different diameter and length. (the implant 4 mm long, can be used with a very small volume of the jaw bone). With the help of 4-6 implants, you can create a fixed denture of 10-12 teeth. Of course, dental implantation needs to be carefully planned. Before implantation of the implant, the patient is interviewed and the face, mouth, and teeth are examined using x-rays or computed tomography. Before implantation, damaged teeth should be cured. Teeth with a poor prognosis should be cured. After 2-4 months, you can give a full load to the implant. Patients worry whether the implant will take root and will last for a long time. So, the more expensive the implant, the more carefully it is investigated and its quality is proven. It is necessary to take into account how strong is the material from which the implant is made and how the implant surface was treated during the production process. 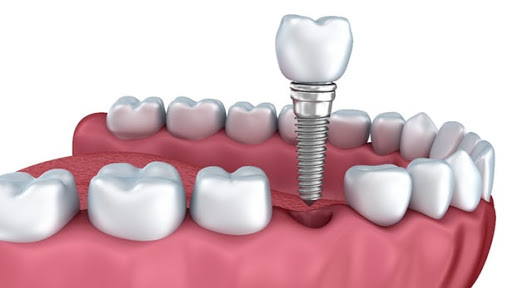 The accuracy of the connection of the implant with the tooth crown, the control of the production process and the manufacturer’s warranty are also very important. These factors affect the survival rate of the implant, the strength of the crown, and the durability of the whole structure. A high-quality product, simply by definition, cannot be cheap – many efforts and means have been invested in any quality product: from scientific research to the organization of the production. Dental implants are the most effective procedure for replacing missing teeth. Nowadays, most people who think about the future, choose dental implants, because no one wants to grind healthy teeth or use removable dentures. Implants of the highest quality that have passed all relevant tests can last for a very long time, perhaps all life. It is important to know that the effectiveness of dental implantation depends on both the quality of the prosthesis itself and the experience of the dentist. Glendale dentist, Dr. Sahakyan, is ready to give you a beautiful and healthy smile. Please call 1-818-578-2324 for an appointment today.